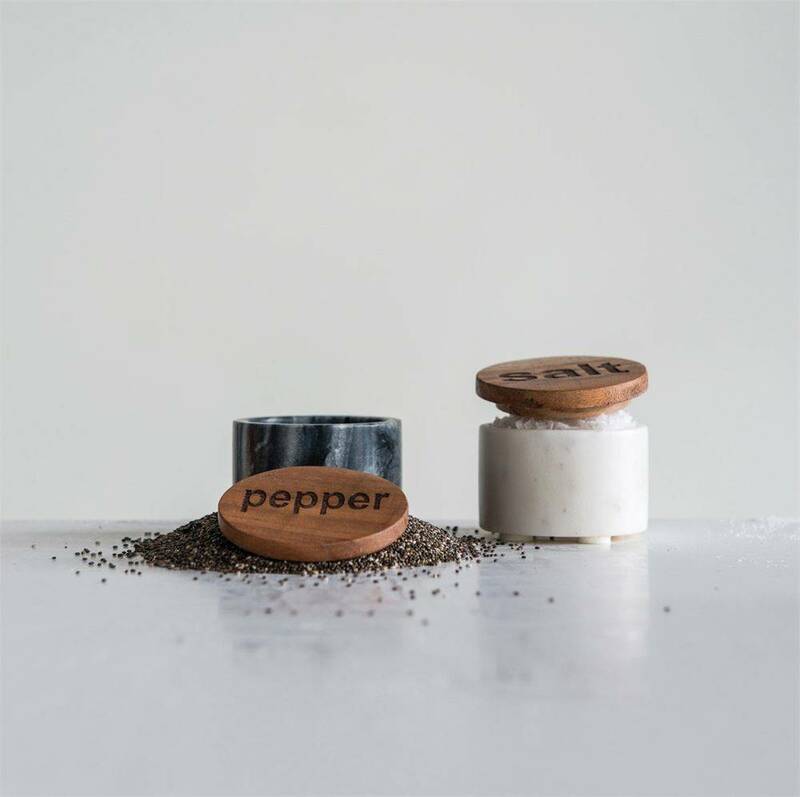 These rounded marble salt and pepper holders are amazing. 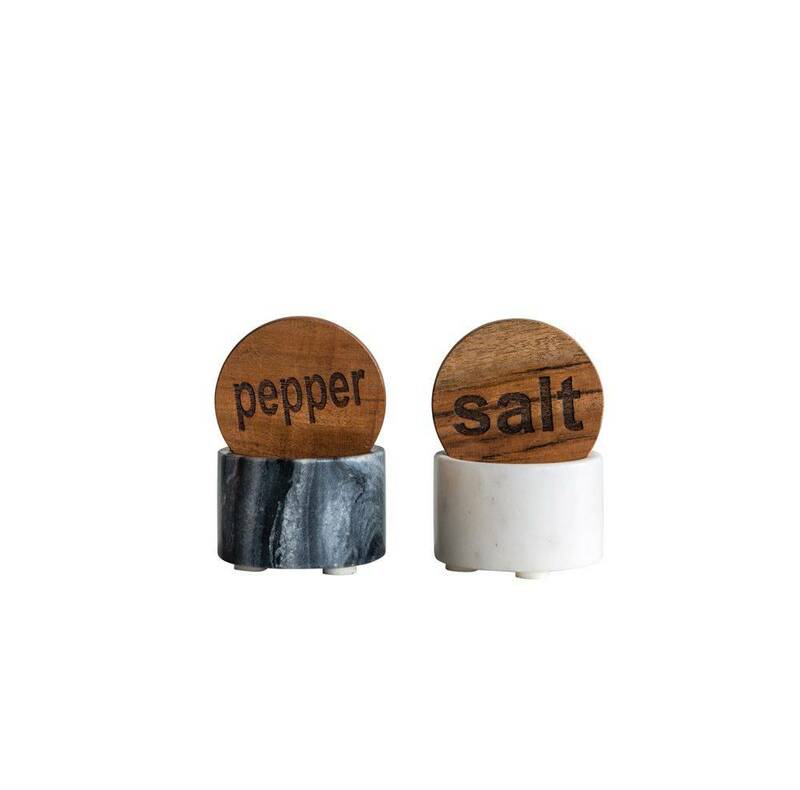 Not only does the marble correspond with the seasoning but they are so cute! Due to the item being made of marble it is not sold as a set however, buy both and save 10%!